Filing a separate return in a community property state can be complicated. 1. Do I Need to Enter My Wife's W-2 if We Are Married, Filing Separately? 2. Do I Have to Pay My Dead Husband's Back Taxes? 3. If You Are Separated Can You File Single on Your Tax Return? Community property law doesn't just affect divorce. It has an impact on your federal tax returns as well – particularly when spouses elect to file separate married returns. The Internal Revenue Service defers to state laws regarding marriage and Arizona is a community property state. Electing this filing status typically results in a much more difficult challenge at tax time than if you had filed together. You may not be able to e-file your returns, and you must file a separate community property worksheet with your 1040s so the IRS is sure you've divided all income and deductions evenly and correctly. In community property states such as Arizona, all income earned by either spouse belongs equally to both. Therefore, if you file separate married returns, you must total all marital income then divide it down the middle, with each of you reporting half. If you earned $50,000 and your spouse earned $150,000, you must each report $100,000 in income, even if you didn't personally earn that much. You're responsible for paying income tax on the additional $50,000 you must claim. Arizona recognizes the concept of separate property, and this can result in separate income. For example, if you have an investment account that you established before marriage and if that account produces interest, the interest is your separate unearned income. You must report it in addition to your half of the community income. Complications can arise, however, if you tainted or commingled the account with community funds. In this case, Arizona law dictates that the marital community has a percentage of community interest in the asset. You must figure out what this percentage is, which is complicated and might require the help of a professional. All taxpayers want to pare down their taxable income to cut their IRS bills, and this can be complicated in community property states as well. If you and your spouse file separate married returns, you can only deduct your own personal exemptions on each. If you have children, you can't both claim dependent exemptions for them. If you have two children, you can each claim one, but if you have only one child, you can't scissor the exemption down the middle, with each of you taking half the amount. You must negotiate which of you claims your child in each tax year. 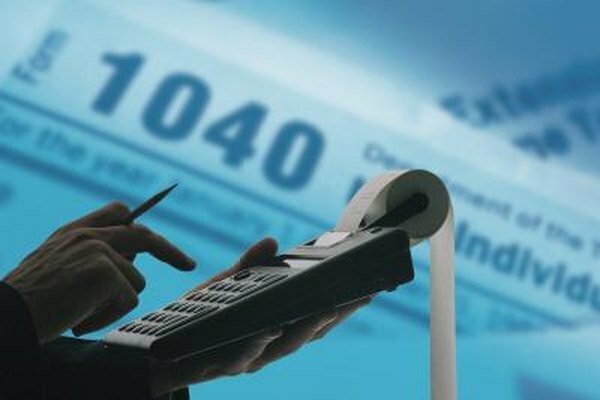 Just as in common-law states, if either you or your spouse itemizes deductions, the other can't claim the standard deduction, even if it results in a greater tax benefit. If you and your spouse live apart, you may be exempt from community property tax laws under certain conditions. If you and your spouse lived apart the entire year, you must only report your own income in Arizona. Additionally, with the exception of child support payments, neither of you can have shared any of your separate income with the other or with the marital community. If you and your spouse have a good relationship and you stop and pick up some groceries for her, the IRS overlooks minor contributions such as this. If you make a mortgage payment for her, however, or help her out with $1,000 at the end of the month when she comes up short, you no longer qualify for IRS special rules for separate married returns in community property states. WorldWideWeb Tax: How Does Living in a Community Property State Affect my Tax Return?